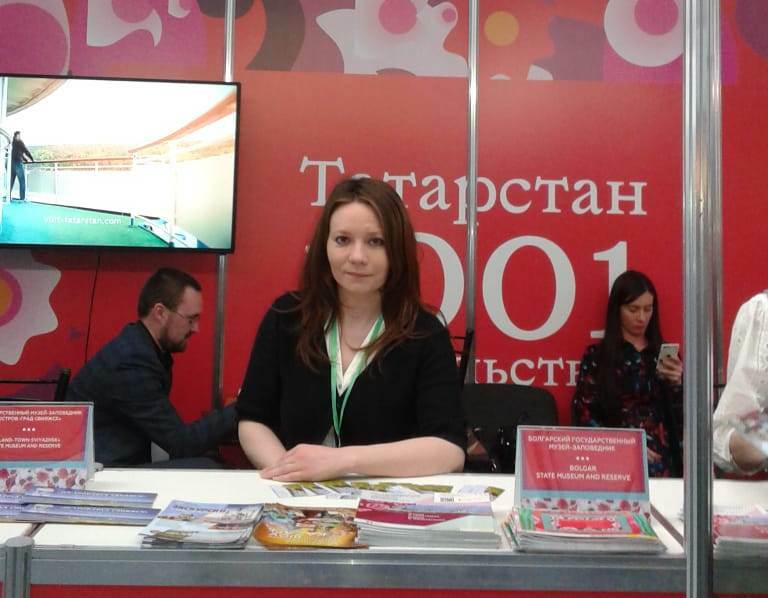 Employees of the Bulgarian Museum-reserve Glavnova VN, Abdrakhmanova A. R. took part in the International tourism exhibition “Summer 2019”, held in Yekaterinburg 5-6 April 2019.
International tourism exhibition “Summer 2019” is recognized as the largest regional exhibition in Russia and was held with the official support of Federal and regional authorities. 250 companies from 20 participating countries took part in the exhibition. The main thematic sections: national and regional tourism organizations, active and adventure tourism, cruises, DMS, excursions, recreation, entertainment. 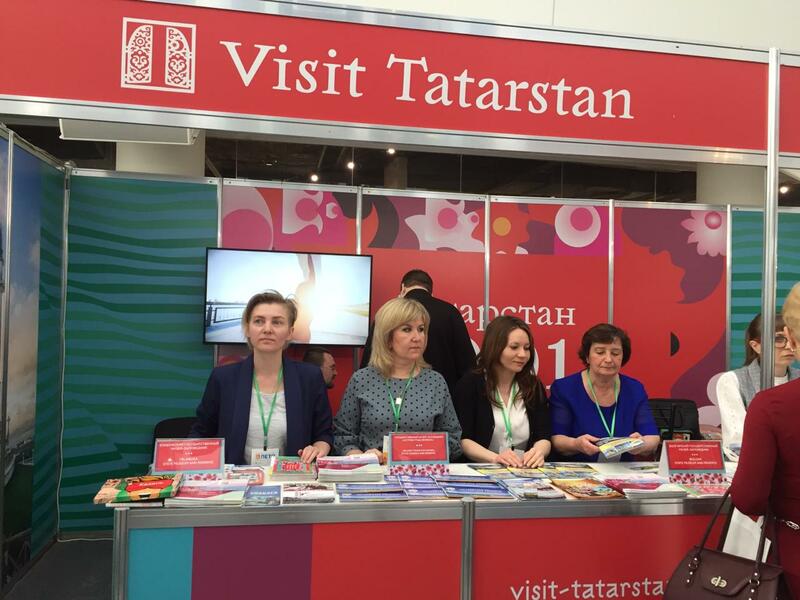 The Republic of Tatarstan was represented at the joint stand VISIT TATARSTAN. Representatives of different tourist organizations of the Republic of Tatarstan offered to the visitors of the exhibition its tourism product. 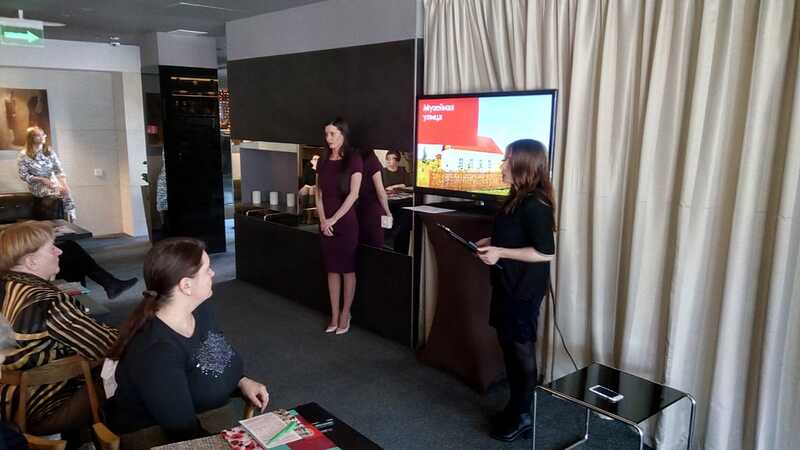 Employees of the Bulgarian Museum-reserve also held promotional events in order to establish new relationships with travel agencies and attract tourists from the Ural and other regions of Russia. 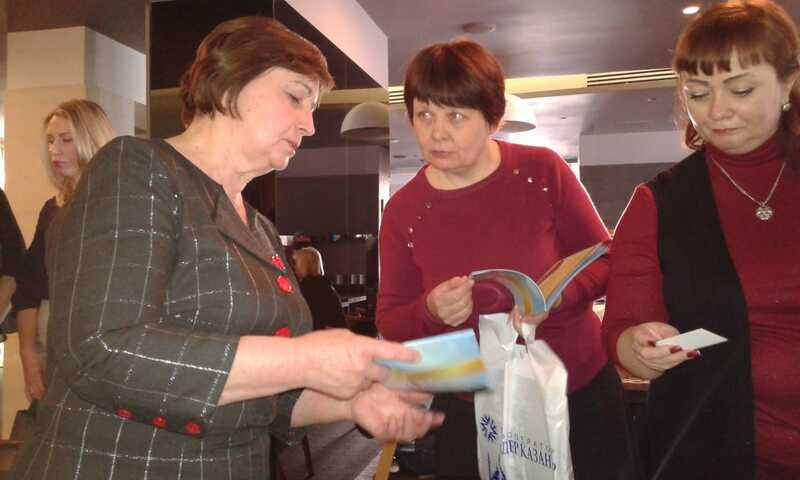 Visitors of the exhibition were presented printed information products about the Bulgarian Museum-reserve and event dates for 2019. Those interested received advertising and information booklets, which marked all the sights of the ancient city of Bolgar and all the proposed sightseeing tours of the Museum-reserve. The business program of the exhibition also included a conference, which was held at the Four Elements hotel on April 4. At this meeting, topical issues in the tourist environment were discussed, as well as reports of representatives of the largest tour operators and tourist organizations of the Republic of Tatarstan. The employee of the Bulgarian Museum-reserve Abdrakhmanova A. R. presented the Museum street on which there are 4 museums the Museum “Nobility of the Spassky district”, the Museum “City on the river”, the Museum of Abdullah Alish, the Museum “Bulgarian tea party”. Visitors of the conference were also offered colorful booklets with information about the ancient city of Bolgar.